The protective net prevents users from having bad falls from the trampoline. Has the netting of your safety enclosure been damaged by a poor reception but everything else is intact? No need to change the whole enclosure, replace only the net on your 10ft. Hop 300 trampoline. - The size of this net is adapted to the 10ft. 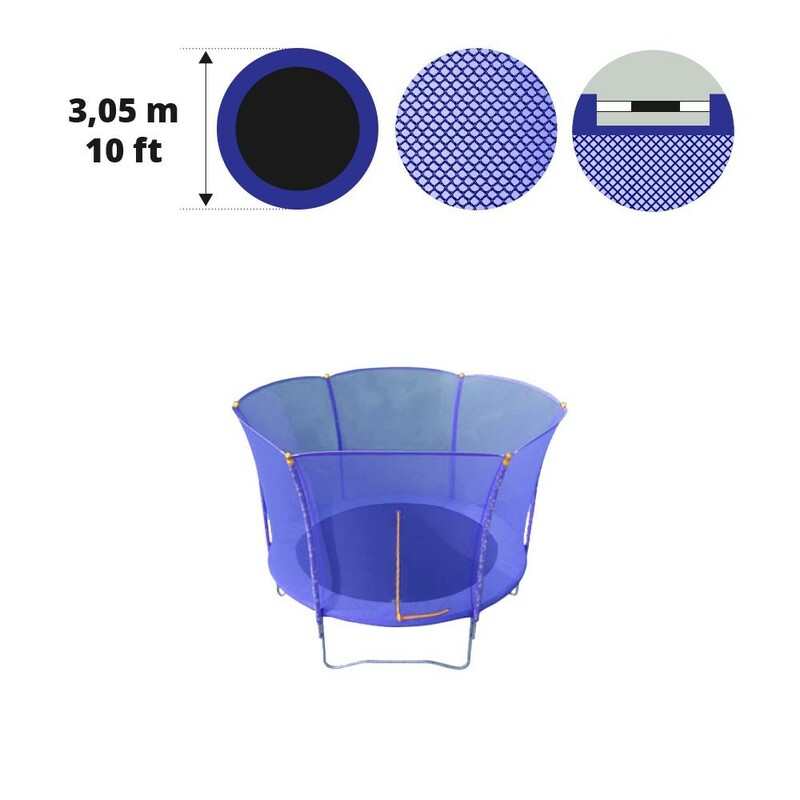 Hop 300 trampoline, but also any trampoline with a diameter of 3.05m and 6 outward curving posts creating a flower shape. If you need any assistance feel free to contact us. 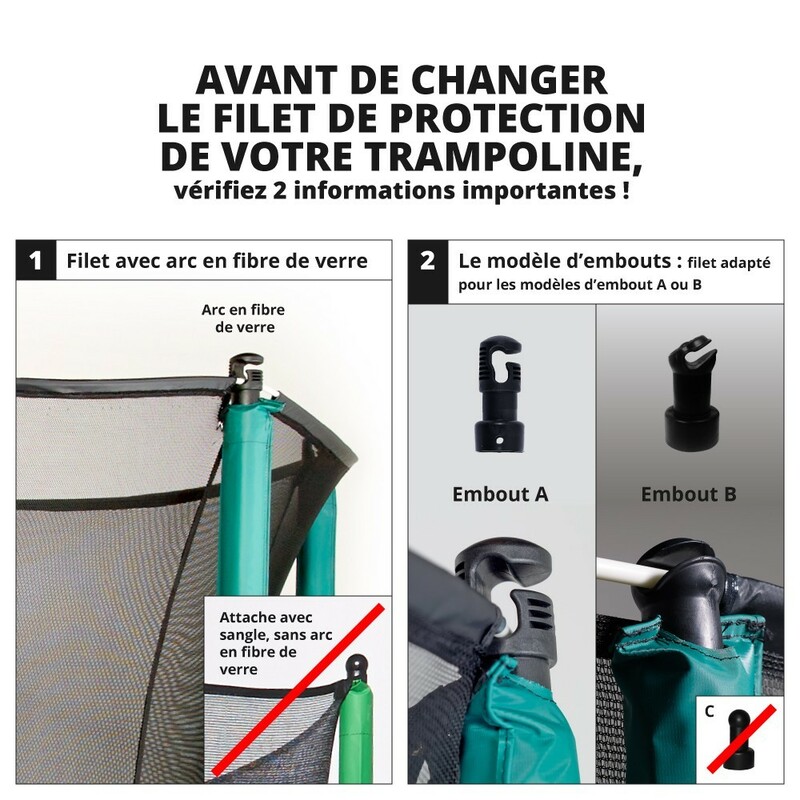 - The replacement netting is very fine, which will prevent children from getting their fingers caught while using the trampoline. With 130g/m² the net is resilient for young children. 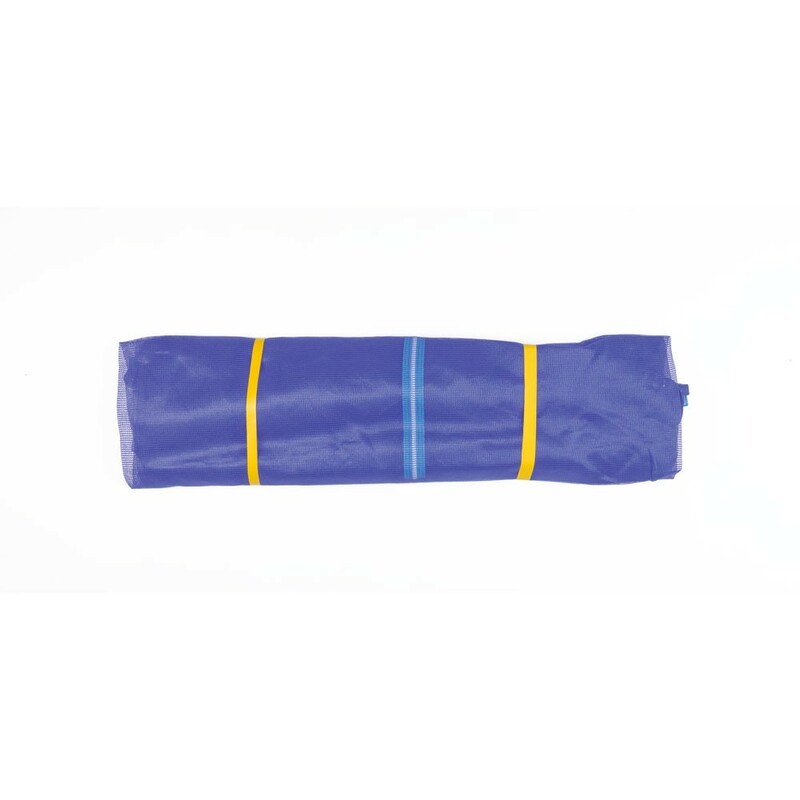 - The safety enclosure on the Hop 300 has 6 outward curving posts with a 31mm diameter, the posts are covered in a thick foam and PVC post covers to protect them. - These posts are in hot-dip galvanised steel, the net and the post covers have received an anti-UV treatment in order to protect them from severe weather conditions, like rain but also sunshine. - Each post is fixed in 2 areas with screws and braces. The net is held by fiberglass rods and caps found at the top of the net posts. The fiberglass rods allow an equal tension for the safety enclosure.